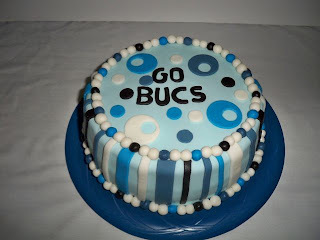 8" 2 layer...this was for a fan of the Barbe High School Bucs. It was a pecan praline cake with cream cheese filling. Iced with cream cheese and then covered in marshmallow fondant with fondant decorations.